When it comes to medical care business sphere, you have to present yourself as a reliable and trustworthy company. And the only way to do so online is a good website. Developed for medical facilities that provide dental services Denta Plus has clean yet eye-catchy design. Moreover, designers inserted visual effects to help you decorate the website and made it easy to edit. You can edit design and structure with simple drag and drop functionality. It has many pre-built pages you can fill with content and provide customers with all required information. In addition, Denta Plus has a gallery that allows you to attract clients with visual content. You can also use a blog, social options, google maps and other useful features and plugins. This HTML template was developed with Novi page builder. 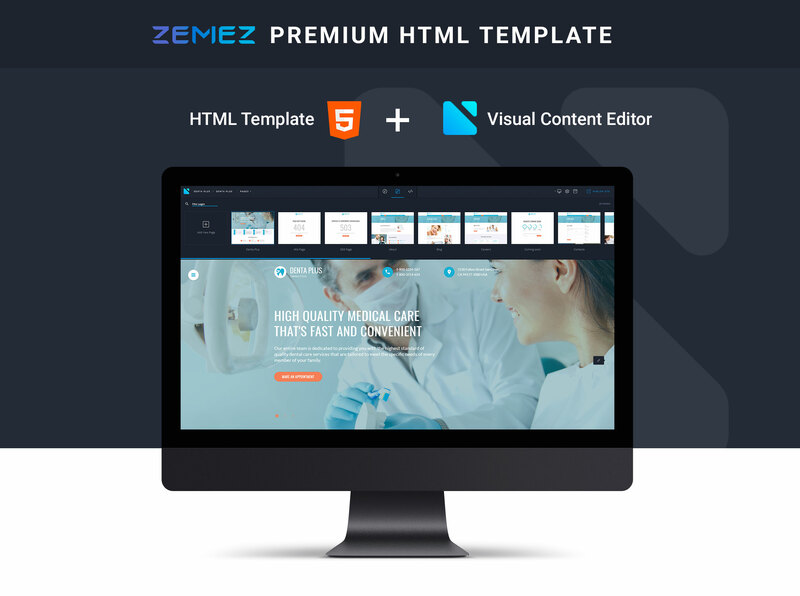 It is a top-notch page builder that allows you to change your website with simple drag and drop features. 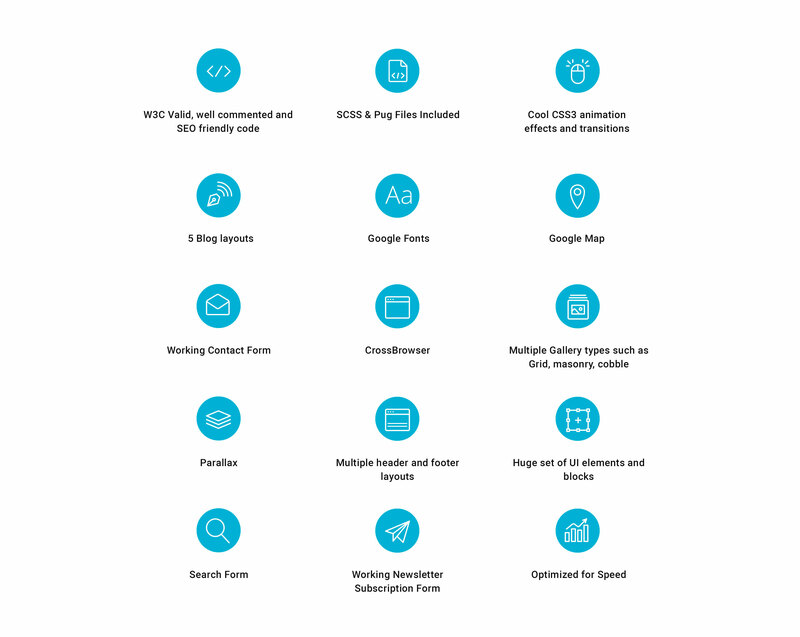 It includes a huge number of useful plugins and allows you to edit and maintain a website without HTML or CSS skills. 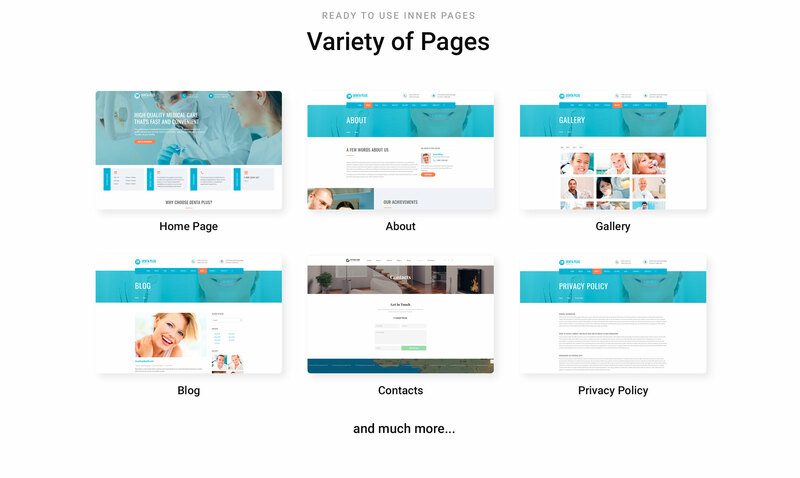 Developers integrated the page builder to give you more options in creating unique websites.